Thank you for your support during this difficult time. Please enhance this tribute to Betty by adding your memories and photos. 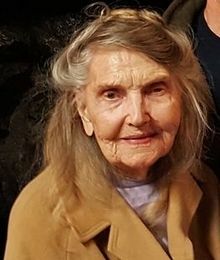 Elizabeth Ann( Betty) Brand passed away on March 12, 2018 in Socorro, New Mexico at the age of 96. An only child, she was born on January 5, 1922 in Pittsburgh, Pennsylvania to the late Clarence Hofer Smythe and Hilda(Polly) Archer Smythe, who later resided in Eire, Pennsylvania. She attended schools in Pittsburgh and several colleges including Westminster( in New Wilmington, Pa.) and Villa Maria( now Gannon University-Eire, Pa). She also completed a two year course in ' Pyscho and Analytical Pyscotherapy' sponsored by Syracuse University and the Onondaga Pastoral Counseling Service of Syracuse, New York. A devout Christian, Betty did crisis and pastoral counseling for several years. She wrote a program called 'Cope' which was offered free of charge to caregivers of the handicapped and elderly. In 1992 she established ' Good Shepherd' , her own personal ministry , which worked with Native Americans, and the Patchwork Puppet Theatre, a fifteen member adult group that performed for church's, schools, and community organizations. She also served on advisory boards for the Salvation Army, Mental Health Hospice and Operation Overcome while living in the anthracite region of Pennsylvania. Betty was a member of the Alpha Gamma Delta Sorority, the National League of American Penwomen, and The Episcopal Carmel of St. Teresa. Until retirement she wrote feature stories for the Wilkes-Barre Times Leader, the Syracuse Herald American and the Harrisburg Patriot News. She was preceded in death by her former husbands: Dr. James J. Fassinger of New Wilmington, Pennsylvania, the Rev. Donald Brand of Rising Sun, Maryland and great-great grandson Roan McConahy of New Wilmington. Survivors include daughters Elizabeth Fassinger of Meadville, Pennsylvania, Dr. Jane Fassinger(Lee) and son-in-law Dr. John Lee of Magdalena, New Mexico, a granddaughter Heather Wiley of Grove City, Pennsylvania, three great-granddaughters and three great-great grandchildren. The viewing will be held at 10 am Wednesday, March 28th at St. Mary Anne's Episcopal Church in North East, Maryland with a service to follow at 11am. The service will be celebrated by The Reverend Sister Barbara Smith , O.C.D. of the Episcopal Carmel of St. Teresa in Rising Sun, Maryland and The Reverend Linda Wilson , MDIV of the Episcopal Church of The Epiphany in Socorro, New Mexico. Interment will be immediately following the service at the church cemetery. There will also be a memorial service conducted in Magdalena, New Mexico at a later date. Memorial contributions can be made payable to " Guiding Eyes for the Blind" a guide dog program in Yorktown Heights, New York or The Episcopal Carmel of St. Teresa. Please send donations c/o R. T. Foard Funeral Home, P.O. Box 248, Rising Sun, Maryland 21911.